Get your logo on Promotional Captains Folding Chairs as corporate gifts. Features are 600 Denier Nylon with tubular steel frame and chair bag. Cup holders built in. 12 folding chair colors. Weight limit is 300 lbs. Use logo folding chairs as promotional items - company events. The promotional folding chair size is 32" w x 34" h x 20 1/8" d.
Chair bag is 600 D Nylon w/ web carry handle w/ drawstring. Delivery from date of a order for this logo chair is 3 weeks. Price includes one color imprint on top front 12" w x 3 1/4" h.
Imprint area for optional top backside - bag imprint is same. setup of $55 and a running charge of $1.25 each. Logo does require Illustrator ai, eps or pdf file. We were looking for something useful as well as fun with our logo on it for an upcoming company promotion. LOGO CHAIRS came to mind. 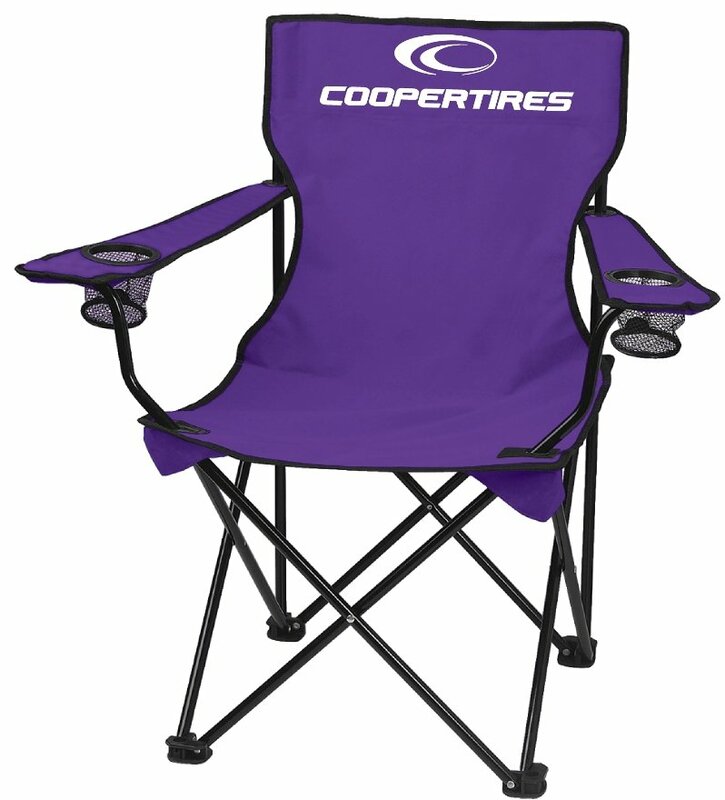 I asked around one of my business associates said they bought some at Promotional Items, Inc. so went to the website and placed my order for the purple chairs with our logo printed on the front, back and chair bag. They came out wonderful and quality chairs as well. Our promotion was a real success! Five Stars is my rating of order and the service we received. Happy and very satisfied in Florida.